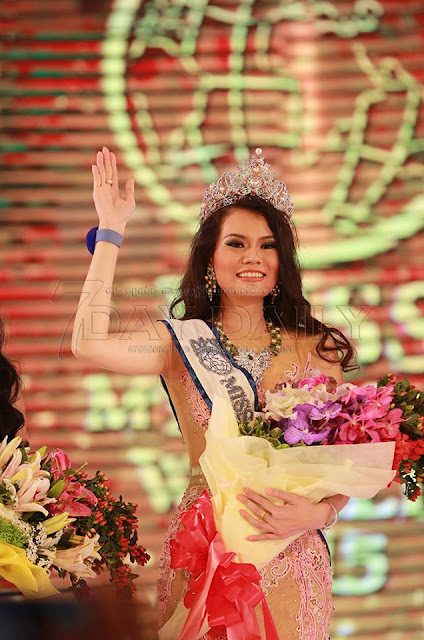 YANGON, Myanmar - Khin Yadanar Thein Myint (23) was crowned Miss Myanmar World 2015 at the Myanmar Event Park in Yangon on July 11. 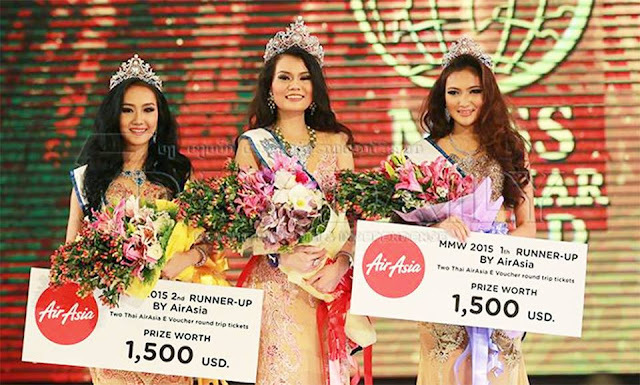 She will represent Myanmar in Miss World 2015 in Sanya, China on December 19. Maureen Lu San and Nang Sandar Hla Htun finished in second and third place, respectively.